The taverns with a view towards the sea are the trade mark of the town. If you choose Nessebar for your vacation you should not miss the fish meals. For centuries Nessebar is famous for its fishermen. Each kind of fish can be prepared in a 100 different ways. The pubs in the Old Town keep a secret numerous exotic recipes. They offer everything that can be caught in the sea. Except for the 100 species of fishes tourists can try shrimps, crabs, shell fishes, octopus, lobsters, black and red caviar, and etc. the most famous recipes from Nessebar are mussels stuffed with rise. The prices are different and depend on the food. The Old Nessebar is a cultural monument included in the UNESCO’s list. The town carries the romantic spirit of the old Mesembria with its churches and monuments. Unforgettable for the guests are the small pubs, the restaurants in the yards of the old houses, the numerous cafes and shops. Please, post a comment on 100 Fish meals in Nessebar. 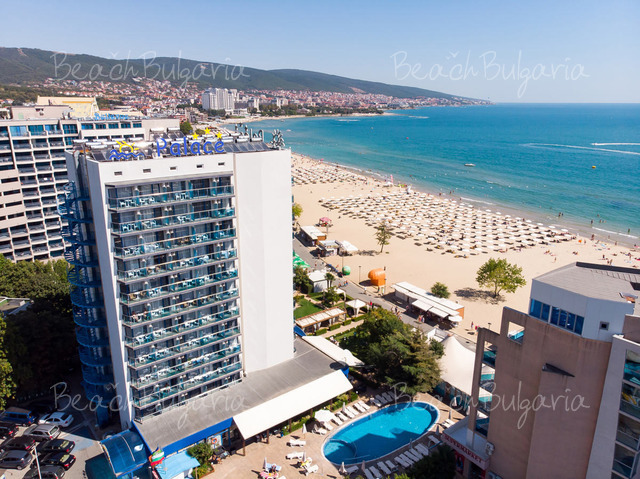 Best deals Palace Hotel Sunny Beach Get free overnights - 21=18, 14=12, 7=6! All inclusiveEarly booking Oasis Park Hotel Nessebar - 20 % discount till 31 Dec 2018; 15% discount until 31 March 2019; - 10% discount until 15 May 2019.